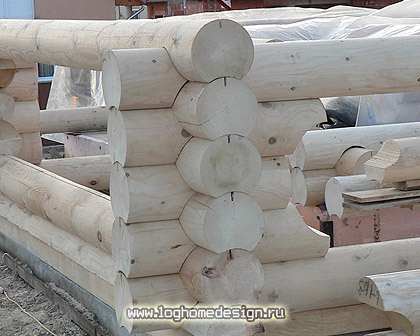 In addition to laminated squared logs we at DenissovDesign specialize in wholesale traditional machine-milled round logs for log homes and cabins of different diameter. 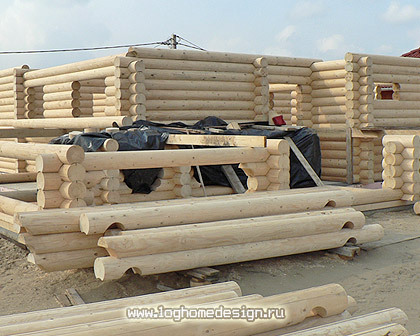 So, we sell northern pine logs of round cross-section at a price from 120 EUR per 1 m3. 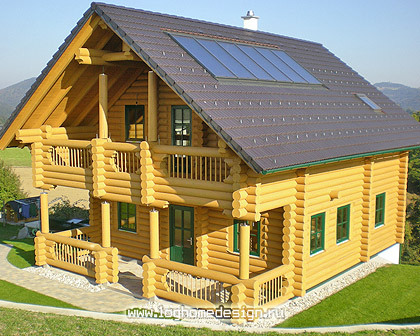 For the owner builder we also sell log home packages and log home kits that can include doors, windows, stairs, framing lumber, materials for roofing and other wooden elements needed to assemble a russian log house on site. 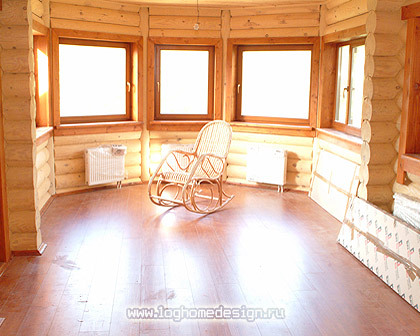 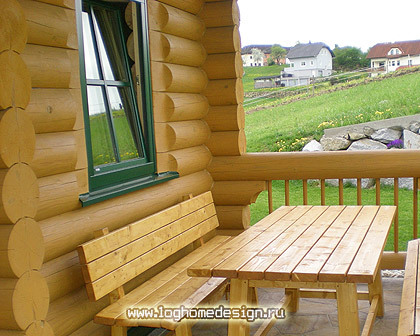 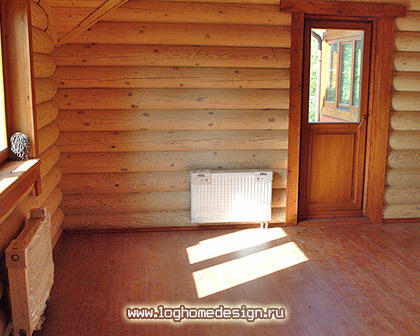 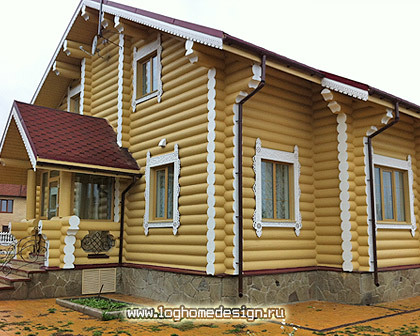 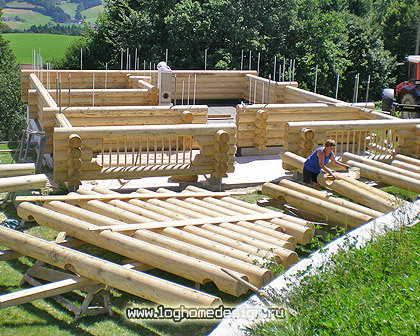 We sell and construct our log cabins with round logs in basic lenghts up to 6 m.